Conventional alternators and regulators are not designed to recharge high capacity and specialist battery banks. With additional equipment running at the same time, batteries are often discharged even though the engine is running. 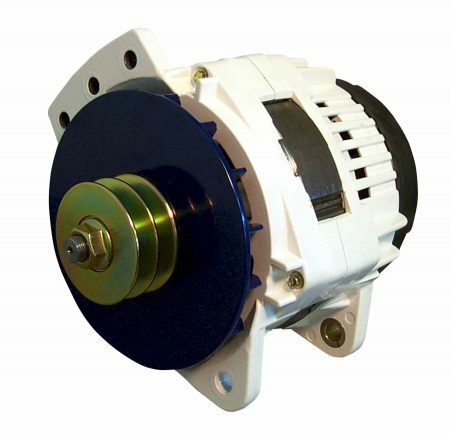 A high output alternator not only provides a greater overall output, but significantly more current is delivered at low (idle) engine RPM. 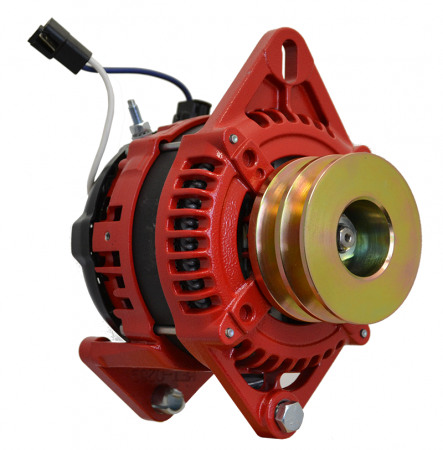 All alternators are hand-built with a greater number of high-density windings to provide high output at low RPM. Additional fans ensure cool-running and increased machine life. Advanced electronic regulation ensure battery charge voltages are appropriate for all advanced battery types (including Lithium-Ion). Finished with a tough powder coat and water-resistant conformal coating, each alternator is designed for operation in harsh environments. 6 Series: Designed to be a bolt-for-bolt replacement for existing alternators. 70-150A 12 and 24V. Internal basic regulator with plug-in upgrade to Smart Alternator Regulator. 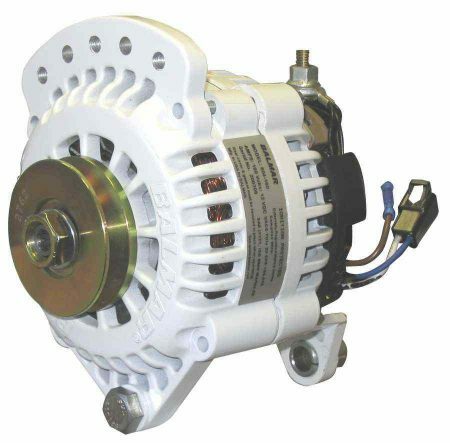 AT Series: The most output physically possible with existing technology in a standard size alternator case. Must be used with Smart Alternator Regulator. 12V 165 and 200A output. 9 Series: Extra large case alternators to provide high levels of continuous current in heavy-duty applications. Must be used with Smart Alternator Regulator. 165-310A 12 and 24V. *Note: Many modern engine alternators are controlled by the engine ECU. Replacement is often not possible. 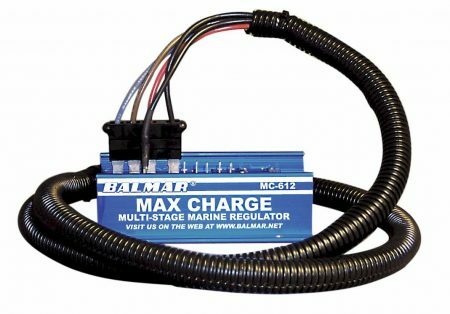 In this case, we recommend installing a Balmar Alternator alongside the existing unit.